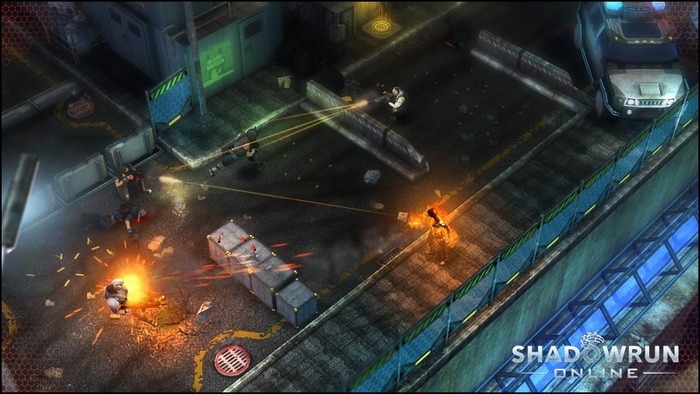 Shadowrun Online is the second Kickstarter video game project set in the world of Shadowrun. The first project, Shadowrun Returns, focuses primarily on providing a great single player adventure experience, while Shadowrun Online is all about experiencing the awesome world and gritty atmosphere of Shadowrun together with friends. Fluid co-op gameplay and intense player vs player faction wars set in a persistent and evolving world, will be main features of the game. Shadowrun Returns is already heading to Linux in Jan 2013 after raising more than $1.8 million in Kickstarter crowd funding campaign. Currently, Shadowrun Online is sitting on $200k funds with final target being $500k. In an announcement few hours back, they confirmed that it will come to Linux. Many people asked us about a potential Linux version of Shadowrun Online. We already had a short FAQ entry on the main page about it, but here it is for everybody to read: Yes, we have a Linux version planned. We use Unity3D for our client, and they announced that they’ll support Linux in their upcoming version 4.0. Here’s what Unity says about compatibility: "Unity Games will run out of the box on most modern Linux systems, but we are only providing *official* support for 64-bit or 32-bit Ubuntu Linux with vendor-made graphics drivers." So once Unity3D 4.0 is available to us, we will go and try to port it. We cannot guarantee that we’ll be able to have the Linux version ready on day 1 (since Unity hasn’t announced the release date yet), but there will be a Linux version as soon as we can make the transition. Unity3D 4.0 only supports publishing to standalone Linux desktop client, so the game won't be available as a browser game. 14 days are still left to pledge. By this time everybody should be aware that Unity3D game engine has recently added Linux support, taking cues from success of Humble Indie Bundles, Ubuntu Software Center and Kickstarter projects like Wasteland 2. Other then Wasteland 2, there is another game that has pushed game engine developers to add Linux support. Shadowrun Returns is being developed using popular Moai game engine and because of the success of the the Kickstarter campaign, Moai developers have finally added Linux support few months back.